Carols by Candlelight is one tradition that is purely Australian. 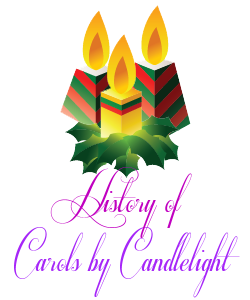 It began in 1937 when a radio announcer, Norman Banks, saw an old woman singing along to Christmas carols on the radio while a lone candle burned forlornly in her window. The following Christmas Eve he presented the first Carols by Candlelight at the Alexandra Gardens along the banks of Melbourne’s main river for all to hear. Around 10,000 people attended and sang along to the carols which were sung by a 30 person choir, supported by the Metropolitan Fire Brigade band. Carols by Candlelight became a joyous annual event and was eventually broadcast in many other countries around the world. Each year, more than a quarter of a million people gather to sing carols and join hands at midnight for “Auld Lang Syne.” Many more millions watch it live on TV or listen to it on the Radio as they prepare for the coming day. It is a great showing of community and Christmas spirit that is almost unequaled anywhere else in the world.